Two nights ago, I received a text from a neighbor that read "Your church is a 'stop' in the 'Pokémon Go' game!" What on earth does that mean? What if I told you people are quite literally at your church's doorstep? Right now. 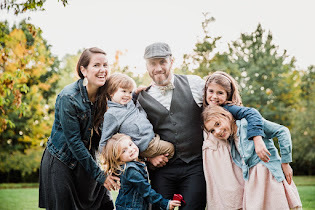 Over the last few days I have learned, along with many of you, about this mobile phenomenon that has in just one week's time overtaken many of the social media giants, most notably twitter.com. The app uses players' phone GPS to locate where they are, then makes Pokémon appear on the phone screen in real-life locations so players can "catch" all 151 virtual creatures. In Pokémon Go, churches are often designated "gyms," where so-called trainers can pit their virtual critters against opponents, or "PokéStops," a place to pick up supplies. Sounds cool right? Honestly, it's all new material to me! Here is what is happening. Throughout the last few days, Pokémon is luring hundreds of millennials to our church (parking lot). Crazy right? How do we respond? 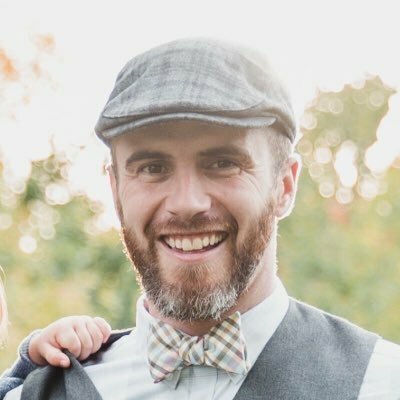 Well, amidst tons of press where Pokéman hunters are being told to "stay away," churches need to consider the possibilities for new connections with their community. This is the first game where they really told all the gamers out there to just "go outside." In Buffalo specifically, news agencies are reporting hundreds of people out and about meeting new faces in public places. What a fun new way to get to know your friends and neighbors! Get out there! So grab your phone, awkwardly hold it out in front of you, and stagger over to Randall Church. 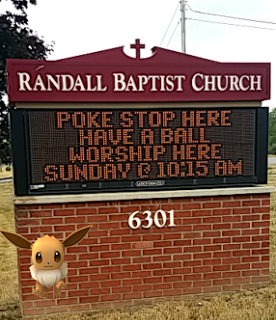 If you stop and get your Pokémon on a Sunday at 10:00 a.m. you should stay and enjoy our 10:15 a.m. worship gathering. Have fun out there. Hope you catch em' all.